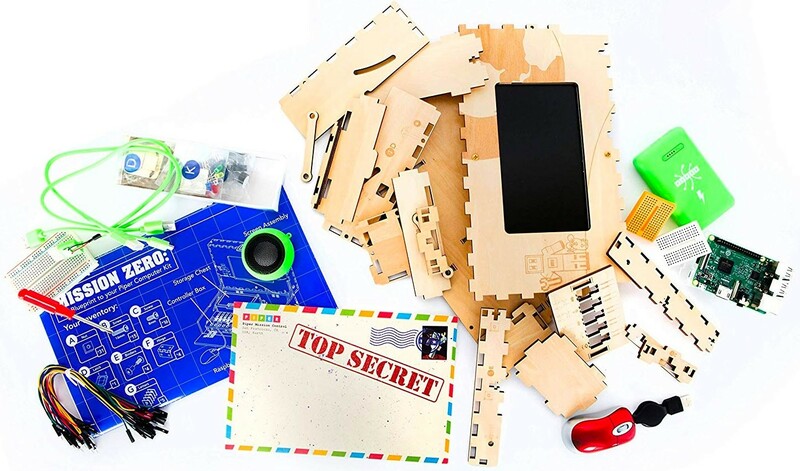 Kids who love Minecraft will be thrilled with this set that lets them craft their own real computer! 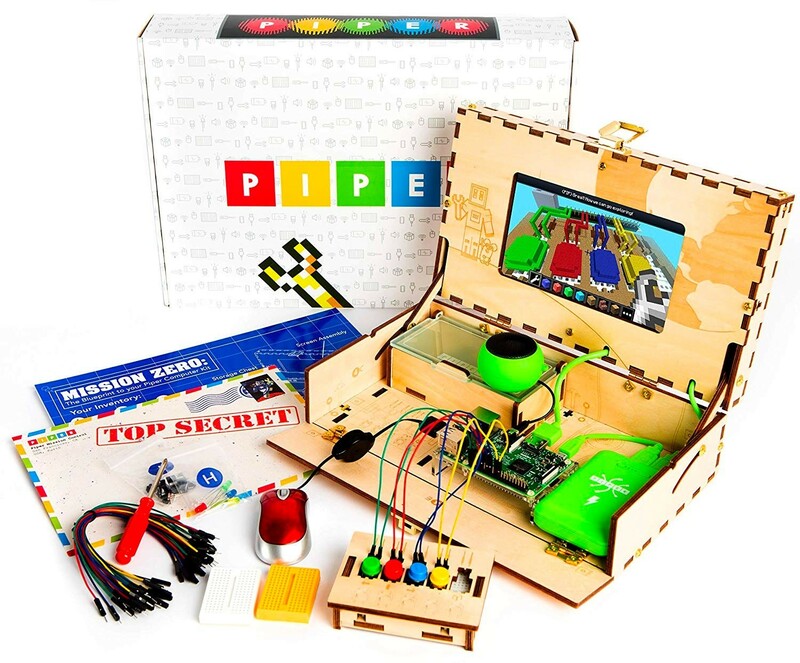 The Piper Computer Kit comes with all the necessary parts, plus Piper's revolutionary learning system that teaches kids engineering and programming through a combination of engaging storyline, physical building, and Minecraft gameplay. 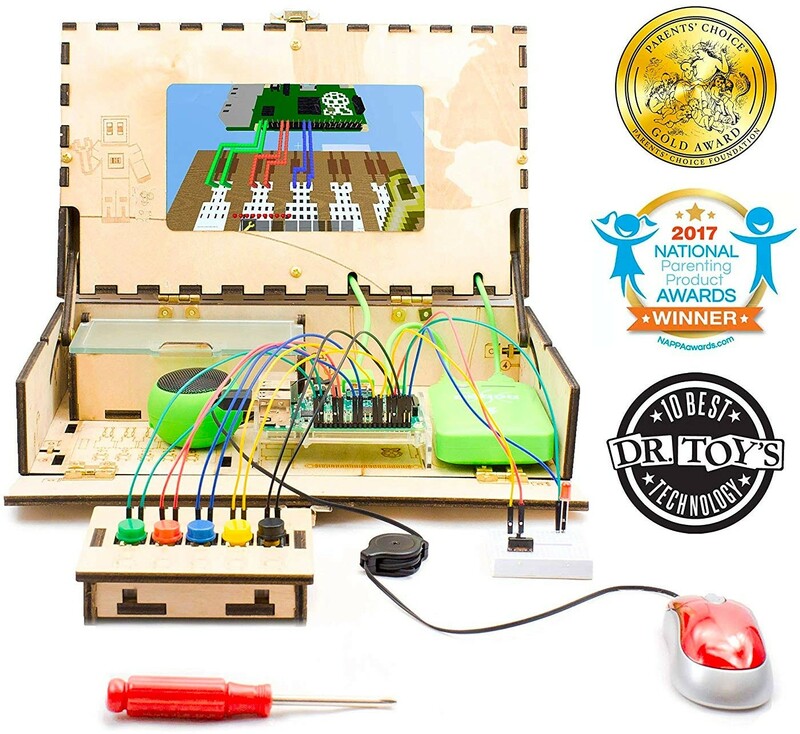 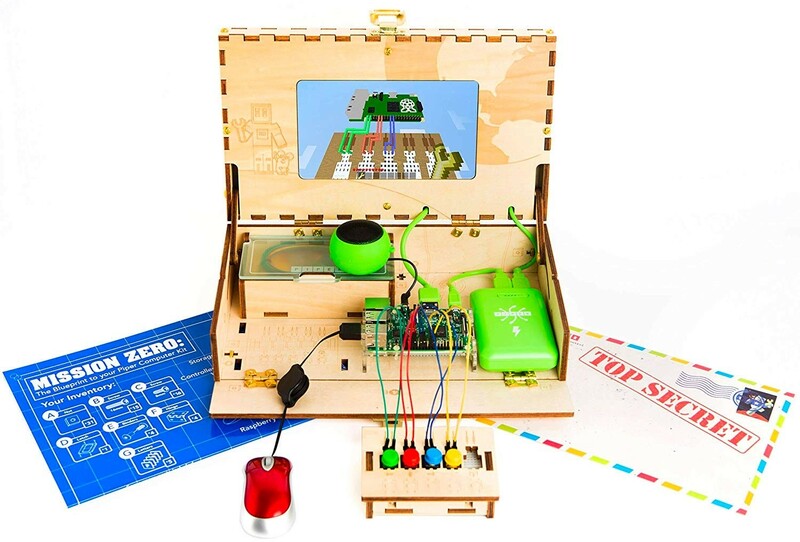 The kit contains a beautiful, handcrafted wooden computer case with HD LCD display; a fully functioning computer running on a Raspberry Pi 3 Project Board with 16GB RAM and a 1.2Ghz Quad Core CPU; electronic gadgets including LED lights, buzzers, buttons, switches, sensors and more; cables to connect the screen, Pi and 6600 mAh powerbank together; an 8 square foot laminated blueprint explaining how to assemble your Piper Computer; a USB mouse with a retractable cable; an 16GB SD card that holds your game progress and keeps your creations safe; and a custom Minecraft Pi adventure that you play by building and programming electronic modules.